Marlborough Sounds Charter Boats & Cruises. Pelorus Tours | Fishing Trips | Eco Tours | Discover the spectacular Marlborough Sounds with Pelorus Tours. Cruises Departing from Havelock | Pelorus Green shell Mussel Cruise | Cruises Departing from Te Mahia | Kenepuru Sounds Cruise | Garden Tours | Sounds Winery Tours . . .
A full water taxi service is available from Havelock and throughout the Marlborough Sounds. 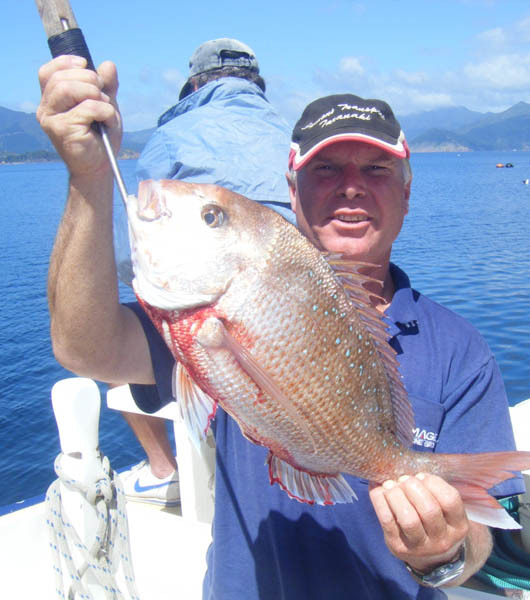 Group fishing & diving trips from Havelock, Marlborough Sounds all year round. Kenepuru Sounds to the outer Pelorus Sounds including D’Urville Island /Crosilles Harbour / Port Gore areas. 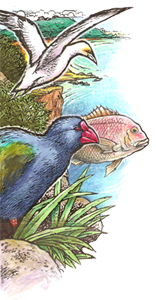 Customised Eco Tours in the Kenepuru and Pelorus Sounds. 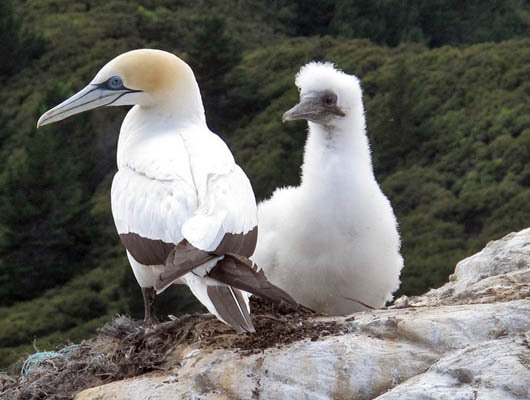 Pelorus Tours also operates the only tours for the public to Maud Island - scientific reserve and predator-free island sanctuary for native species. 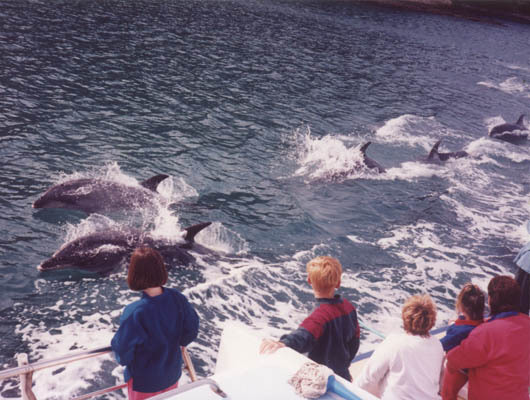 Discover the spectacular Marlborough Sounds with Pelorus Tours. With three generations of "Orchards" running passenger vessels in the Marlborough Sounds, Gary is the third generation, with a vast knowledge of the area. Gary Orchard Pelorus Tours provide trust-worthy service for reliable and safe transport from Havelock, and throughout the Marlborough Sounds. 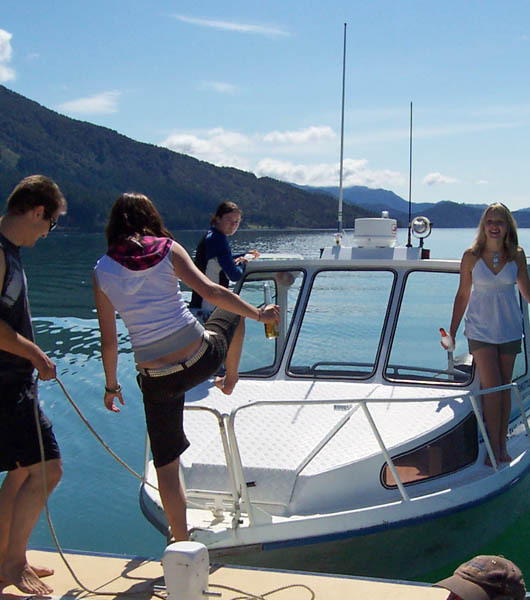 Boat hire / Transport, Tours, Cruises, Fishing, Scalloping, Pelorus Sounds Mussel Farm Cruises, Sounds Winery Tours, Educational Eco-Tours, Maud Island Tours, Garden Tours, DOC Bush walks, Corporate and Family Functions. Boat Storage / Boat maintenance / Mooring provider / Auto & Marine Electrical engineer / Outboard & Stern drive mechanic. dates :Sat 12/ Sun 13/ Sat 19/ Sun 20 January 2019. Maud Island is a predator-free island sanctuary for native species. A full water taxi service is available from Havelock and throughout the Marlborough Sounds. Fast, reliable, easy landing on beaches made dry-footed with a special front mounted ladder on the boat. A hardtop boat design allows for comfort in all weather. Gary has good knowledge of all properties and wind directions and forces in all areas of the Sounds. Considering a fishing trip from Havelock with your group? A large variety of fish can be caught using different techniques. We promote and teach Jig and Sports Fishing with advice and help tying of knots and setting up tackle. Some fishing gear can be available. Gary will help with filleting and bagging your catch for you to take home.